It’s time for our annual Predict the Oscars Contest! 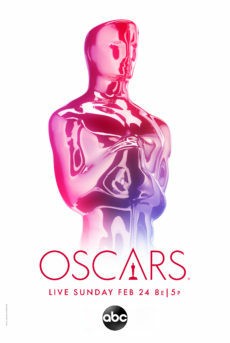 The person who most accurately predicts the Academy of Motion Picture Arts and Science’s choices in all 24 categories, from the shorts to Best Motion Picture, will win fabulous prizes (free movies and concessions at Laemmle)! We’ll announce the winners right here on our blog by March 5th. Good luck! Laemmle’s Umpteenth Annual Oscar Contest, 2017 Edition! January 26, 2017 by Benjamin G.
First place wins a Laemmle Premiere Card worth $150. Second place wins a Laemmle Premiere Card worth $100. Third place wins a Laemmle Premiere Card worth $50. Entries are due by 10AM the morning of the awards ceremony on February 26th. 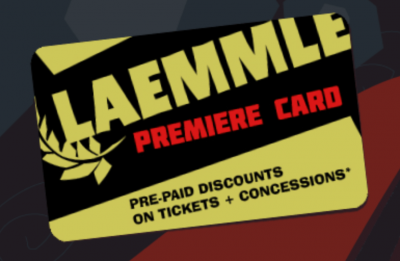 Not sure what a Laemmle Premiere Card is? Think of it like a prepaid gift card for yourself! Use it to pay for movie tickets and concessions. Plus, Premiere Card holders receive $2 off movie tickets and 20% off concessions. To find out more, visit www.laemmle.com/premiere-cards. We’ve got some smart cookies for customers so we have a tie-breaker question: you also have to guess the show’s running time. Take the tie-breaker seriously! Last year, the running time question broke a tie between five entrants who correctly predicted 19 out of 24 categories! We’ll announce the winners right here on our blog by March 1st. Good luck! January 13, 2016 by Benjamin G.
‘Spend less money’ always ranks high on those annual lists of top resolutions for the New Year. And, no matter how many films we see here in Laemmle-land, ‘see more movies’ always sits atop our list. 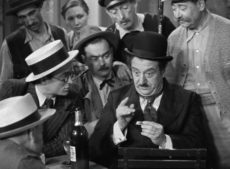 Using a bit of our own movie magic we’ve combined these seemingly incompatible resolutions and outlined how you can see more movies at Laemmle for less money! 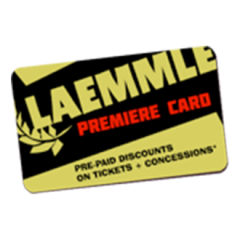 With a Laemmle Premiere Card you receive $2 off movie tickets and 20% off concessions. Plus, every Thursday Premiere Card holders get a free medium popcorn. You can buy a Premiere Card online or at the box office for $100. Use it for all your Laemmle purchases and when it’s running low, reload it for as little as $50. Think of it as buying a gift card for yourself! For more information and the full list of card-holder perks, click here. One of our most popular discount programs is Senior Wednesdays. If you’re 62 or over, all tickets before 6PM on Wednesdays are $5. Yes, five dollars. We also offer a Senior Concessions Combo (Small Popcorn & Fountain Drink for $4.50) that’s available ANY TIME. Catching a flick may not be an ideal study habit, but you sure can learn a lot from the movies. Students with a current ID can nab $8 tickets and a $1 small popcorn every Sunday for films that start after 6PM. Pay only $7.50 per admission when you purchase a block of 20 tickets. Our new Frequent Movie-Goer Tickets are now available at theater box offices and online. Many local organizations use our Group Activity tickets to reward their members but there’s nothing keeping you from participating in this amazing deal. Pay only $6 per admission when you buy a block of 100 tickets! Group Activity Tickets can only be purchased online. To learn more about ALL our discount programs, visit www.laemmle.com/discounts. Certain restrictions apply. Specific terms are detailed on each program’s web page.